The company was outpaced by Walmart, Exxon Mobil, and major Apple investor Berkshire Hathaway, Fortune said. Apple's revenues were up 6 percent annually to more than $229.2 billion, but below Berkshire Hathaway's $242.1 billion and well distant of Walmart's $500.3 billion. The displacement was linked to the rise of Exxon, which rose from fourth place to second with just under $244.4 billion. Apple had occupied third place for the past two years, after a mostly continuous climb which saw it rise from 56th place in 2010. The company was still the most profitable on the 2018 list, with $48.3 billion in net income. Following this metric Berkshire Hathaway came in second at $44.9 billion, while third and fourth belonged to Verizon and AT&T. Walmart was actually just 20th, famous for using low prices to undercut competitors. Apple's success comes "despite the overall saturation of smartphones," Fortune noted. 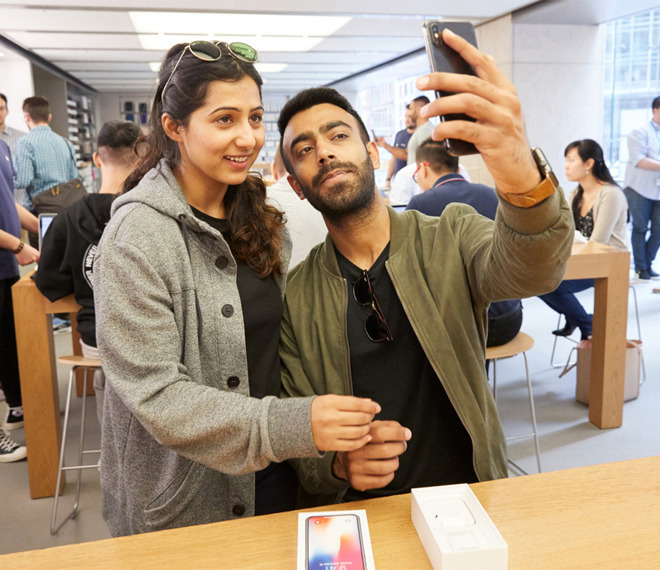 Analysts have worried that industry trends could come back to bite Apple, which is extremely dependent on iPhone revenues no matter the health of its Mac and iPad businesses. Products like the Apple Watch, AirPods, and Apple Music have also done well, but would likely sink without the iPhone as a driver — particularly since the Watch still requires an iPhone to function.